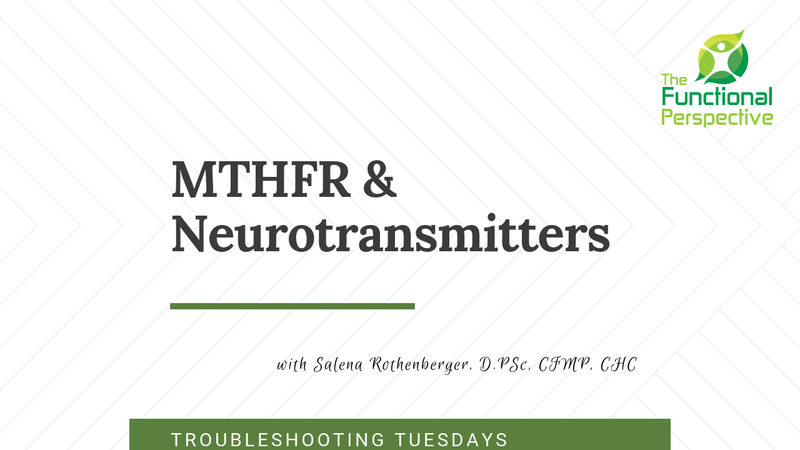 MTHFR – Neurotransmitters – Where do we start? We have access to so much information, studies, and new discoveries it can be difficult to figure out where to start. This is from my facebook group Moms Taking Charge of Digestive Health and I thought I would share. 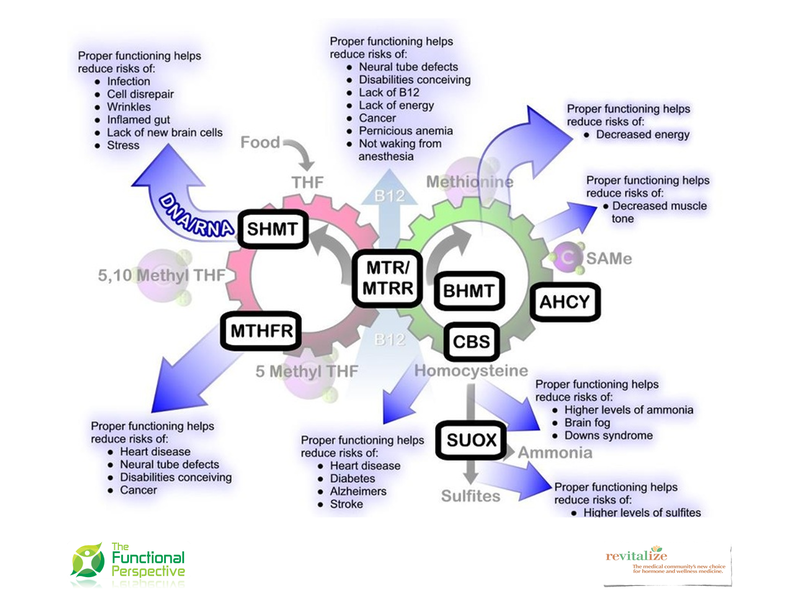 So often we are just told about MTHFR and the rest of the genes in the methylation cycle are left out. I can’t begin to count the number of times I have heard from clients that as soon as they found out they had a MTHFR snp they were put on methylated vitamins. On top of that I usually here how great they felt, then things started getting worse than before supplementing. I can’t express enough how important it is that we put any and all test results into context and to avoid supplementing just because of a test result. Test results are great to have but they are just one piece to the puzzle. Which puzzle I am going to talk about in this video. This first image is a brief, simple overview of a few of the cycles connected to MTHFR. Some of the key takeaways are SAMe is a product of that pathway and used in at least 200 processes throughout the body. 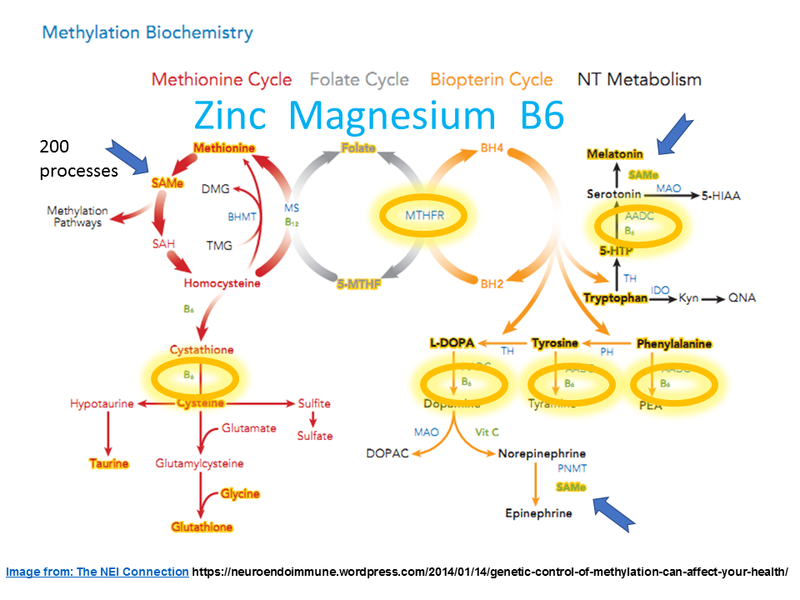 Another takeaway is the cofactor vitamin B6 is needed for many of these genes to work well – from the detox/transsulfuration(bottom left) to neurotransmitters(far right). 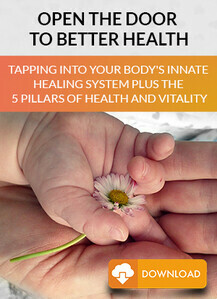 So if there are deficiencies in that vitamin guess what? Those genes are going to have problems whether there is a snp or not! I should have more videos coming soon, and be sure to connect with me on facebook to get updates.